Soak the beans overnight or for 6- 8 hrs. Pressure cook with little salt until they are done . When the pressure is down , drain the excess water from it. 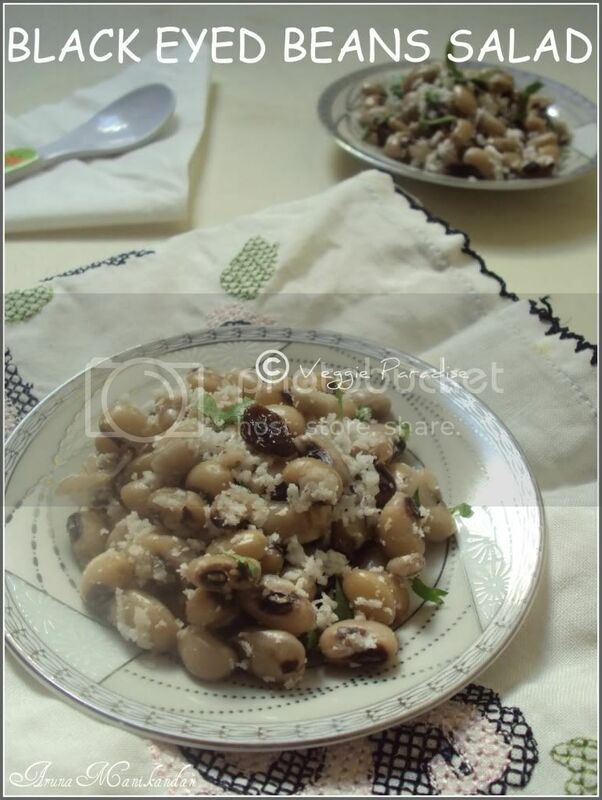 In a bowl mix all the ingredients along with the cooked beans and serve this salad. If you are using tinned black beans , make sure you drain and rinse it thoroughly to get rid of the salted water in which they are preserved. Mixing yoghurt with this salad makes it a wonderful and delicious raita. Liked the use of raisins; will try! wow healthy way of cooking,love this salad...luks tempting. love black eye peas....and this presentation looks awesome! Healthy and nutritious salad,like the addition of raisins. Wonderful Salad.Easy to Do and Healthy.Better snack option for Sundal. My kind of snack... love it..
Black eye peas look simply delicious and nutritious. 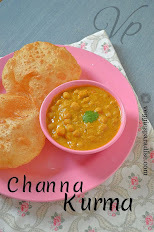 New recipe to me..simple method,and looks yumm! 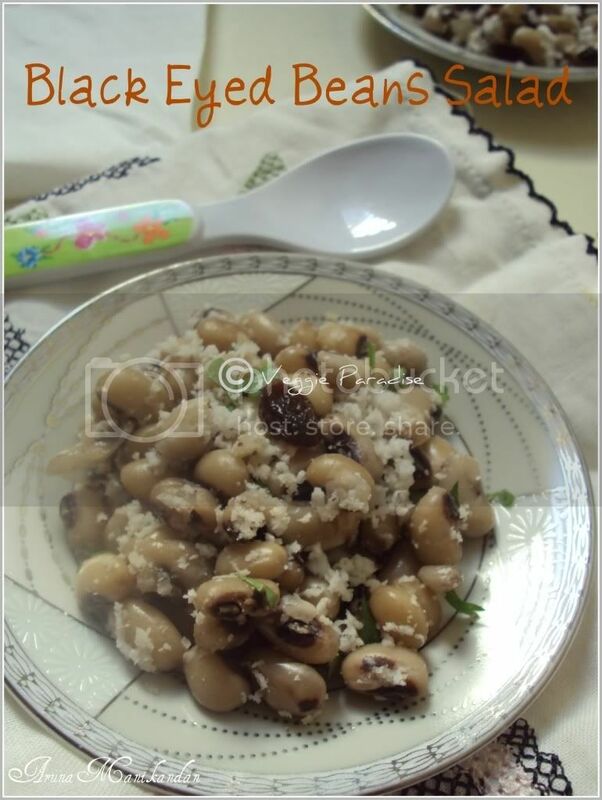 nutritious salad and looks inviting..
Black eyed beans salad looks delicious. Wow! Lovely and tasty salad! This is like Sundal+raisins. Must have tasted great surely. I luv salads..new n fav combo of beans and raisins. Very healthy and nutritious salad.